Jalena is a talented clairvoyant psychic. Using the ability to "clearly see" images of your life. With more than a decade of professional readings, Jalena can help you with your Love, Career, Money, Family, Pets, Passed Loved Ones and Dream Analysis. 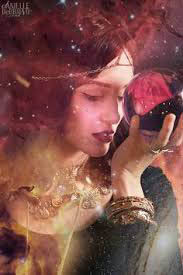 I have been providing accurate tarot readings for thousands of clients worldwide with great success. Reading in a compassionate style I will piece together the puzzling questions of your life. Romance is my specialty along with financial concerns and family matters. A warm welcome from Jalena. Deel zelf uw ervaring met Jalena!